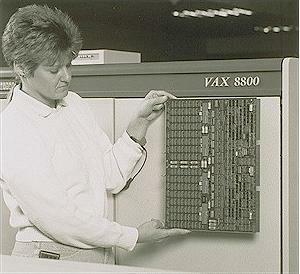 The VAX 8800, VAX 8300 and VAX 8200 were the first VAX systems to support dual processors. Each machine incorporated a new high-performance I/O bus, the VAXBI. The high-performance VAX 8800 achieved application throughput of two to three times the VAX 8600.